President of Turkmenistan Gurbanguly Berdimuhamedov made working trip to Mary Velayat where he took part in the opening ceremony of the first combined cycle power station operating based on coordinated management with Mary State Power Station. Early in the morning, having left Ashgabat International Airport, the aircraft of the President landed in the airport of Mary. At the airport, the Head of the State was met by the Speaker of the Mejlis, Deputy Chairmen of the Cabinet of Ministers, heads of military and law enforcement agencies and the Hyakim of Mary Velayat. Having expressed the gratitude for warm welcome, President Gurbanguly Berdimuhamedov talked the elders, expressed the interest in their life and affairs. 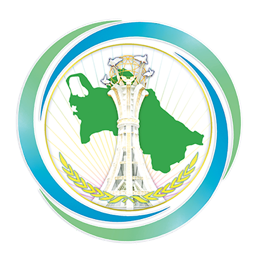 Having noted that many important events are expected in the country soon, the Head of the State congratulated all the participants with coming 27th anniversary of the independence of Turkmenistan. Having noted that further improvement of social and living conditions of Turkmenistan citizens would remain the main priority of the state policy and it would be discussed at the first session of the People’s Council of Turkmenistan in Ashgabat in the end of September, President Gurbanguly Berdimuhamedov expressed the gratitude to the elders for their contribution in consolidation of the unity and solidarity of the nation, in patriotic upbringing of growing generation. From the airport, the motorcade of the President went to Mary Hydro Power Station where new power station has been built. Active implementation of advanced technologies and innovative developments are the key targets of realization of reformation programmes and projects involving all regions of the country. Formation of modern engineering and technical infrastructure meeting international standards with energy saving system as an integral component is the main aspect in this case. As is known, the Head of the State approved relative Concept for 2013 – 2020, every phase of which includes the construction of number of infrastructural facilities. Multiple power reserve was put into new energy systems form the beginning taking into account dynamic development of the capital and velayats and export potential of national energy sphere. For the last few years, infrastructure of the industry has been supplemented by number of gas turbine power stations in Ashgabat, Ahal, Balkan, Lebap and Dashoguz Velayats. At the same time, dozens of power distribution stations and power substations are built, energy provision and lighting system of the capital, other cities and settlements is renewed. Large-scale works in this sphere allow our country providing its requirements in energy and exporting it to neighbouring states. Pursuing the policy of wide international cooperation, where special role is given to the partnership with the UN, independent neutral Turkmenistan takes active part in discussion of vital and important subjects of universal concern and in development of their optimum solutions. Constructive initiatives of President Gurbanguly Berdimuhamedov related to the provision of global energy security, social and economic revival of Afghanistan and other important issues of the present, which found wide support of the world community, are aimed at the achievement of this target. As is known, our country give comprehensive support to fraternal Afghan people in building of peaceful life for many years. Imamnazar – Andkhoy and Serhetabat – Herat power lines, which became important part of the infrastructure of neighbouring state as well as Rabatakshan - Kalaynau power line, which was put into operation this summer, opening new direction for supply of Turkmen energy to northern provinces of Afghanistan on beneficial terms, are the bright evidence of such support. Realization of other big projects like the construction of Turkmenistan – Afghanistan – Pakistan – India gas line as well as Turkmenistan – Afghanistan – Pakistan power lines will be very important not only for participating countries but for entire region as well. Construction of the first combined cycle power station on the territory of Mary Hydro Power Station is aimed at further development of the infrastructure and expansion of export capabilities of Turkmen energy industry. this project was accomplished together with our country old partners in energy sphere – General Electric (USA) and Çalik Holding (Turkey). Celebration atmosphere was reigning at the place of the event. The vehicle of President Gurbanguly Berdimuhamedov arrived in Mary Hydro Power Station. Girls in national dressed presented Turkmen leader with the flowers. The Speaker of the Mejlis, Deputy Chairmen of the Cabinet of Ministers, leaders of military and law enforcement agencies, ministries and departments, the Hyakim of Mary Velayat met the Head of the State on the square in front of new facility. Representatives of public organizations, mass media and foreign businessmen were among the partiipants of the ceremony. Bright performance of the art masters expanded on the ground in front of new facility. Personnel of energy industry and youth were lined up along the carpet that the Head of the State walked toward the power station accompanied by Board Chairman of Çalik Holding Group Ahmet Çalik. Making speech to the participants, President Gurbanguly Berdimuhamedov noted that this year under slogan “Turkmenistan – the Heart of the great Silk Road” is marked by wonderful event – the opening of modern power station operating based on coordinated control from Mary Hydro Power Station. Construction of numerous social, cultural and industrial facilities, improvement of life level of the population require reliable energy provision and cause the necessity of further improvement of equipment and facilities base of the industry. The Concept of development of power energy industry of Turkmenistan in 2013 – 2020 has been adopted for solution of this important objectives. Six different capacity power stations have been built under the Concept in Ahal, Lebap and Mary Velayats. Therefore, at the moment, each region has two or three gas turbine power station, which provide uninterrupted supply of electricity to the consumers, the Head of the State said. Modern new power station, which was opened, is another evidence of successful realization of the above-mentioned Concept, which outlines new phase in the development of the industry. Its total output capacity is 1,547 MWt. The power station has four 263.25 MWt gas turbines as well as two 260.5 MWt steam turbines from the famous American General Electric company. Combination of two installations provides the production of additional energy. Introduction of modern technologies to the industry creates the conditions for organization of waste-free production, considerable reduction of the emission. Besides, the consumption of gas used as a fuel is significantly reduced. The power station is computerized, which provides efficient control of all technological process from the control centre. After opening of the power station, the production output of power energy of the country will increase by 1,547 Mwt, the reliability of energy supply to the consumers will be also improved. The volume of emission will reduce by 3.1 million tons per year. At the same time, it will allow increasing the export of export volumes to 3 billion kilowatt hours. New modern working places will be created and specialists will improve their working experience, the Head of the State said. President Gurbanguly Berdimuhamedov noted that excess of electrical energy produced in the country will be supplied to neighbouring states. In the future, it is planned to diversify the routes of supply and increase the volumes of export. As is known, the construction of Turkmenistan – Afghanistan – Pakistan power system has been launched in February this year. It indicates successful realization of our energy policy, the Head of the State highlighted. 2018 in the country is held under slogan “Turkmenistan – the Heart of the great Silk Road”, the President continued. In this context, Amul – Hazar 2018 desert race in our country export of electrical energy produced in new power station to neighbouring states located along the Silk Road will be another evidence of the revival of this ancient route. Finishing the speech, President Gurbanguly Berdimuhamedov congratulated again the personnel of Turkmen energy industry and all compatriots on remarkable events – the Day of Personnel of Energy Industry of Turkmenistan and opening of new power station timed to this professional holiday, having wished strong health, family wealth and great success in work to everybody. President Gurbanguly Berdimuhamedov cut symbolical ribbon under the applauses of the participants and entered to Control Centre of combined cycle power station. Specialist working in the Control room explained the main technical and technological characteristics of new energy facility. As it was mentioned, unlike other power stations, which were built previously in our country, it is not only natural gas but also the steam, which are going to be used as fuel for production of electricity at new station, which is provided with high technology equipment. The concept of progressive method of combined steam and gas cycle is that the gases produced as the result of fuel combustion drive the main gas turbine and thereafter go to special steam boiler where they heat up the water turning it into steam, which under pressure goes to steam turbine and makes it turn. The rotor of the power generator starts to rotate accordingly. Therefore, additional power is produced. In the result, while the efficiency of regular power station is 34.2 percent in average, the efficiency of combined cycle power station is increased by one and half time and makes more than 546 percent. Combined cycle power stations are more attractive not only economic but also in ecological aspects as the emission of the carbon dioxide to the atmosphere is reduced by 2 – 3 times. Implementing major regional and international projects in energy sector, Turkmenistan demonstrates responsible approach to the subjects of international cooperation in such important direction as environmental protection. This is indicated by international initiatives of President Gurbanguly Berdimuhamedov given at the sessions of the UN General Assembly, the UN Sustainable Development Conference RIO+20 as well as at the UN Summit on Sustainable Development in 2015 when the Global Agenda for Sustainable Development until 2030 has been adopted. It includes the proposal about the opening of Regional Centre of technologies related to climate change in Ashgabat. The Head of the State noted in the conversation with the personnel of the power station that use of latest resource saving and environmentally friendly technologies, efficient and reliable equipment is the main objective of the personnel of national energy industry during implementation of profile projects. The specialists of the power station expressed the gratitude to the Head of the State for construction of modern infrastructural facility of energy industry with all comfortable conditions for work of personnel and assured that they would work honestly for the sake of the country. The Head of the State pushed the button and started the work of new power station. The displays provide visual monitoring of all work of the power station. The opening of power station will allow increasing the supply of electricity to unified energy system of the country and making additional guarantees of reliable energy supply to local consumers. In addition, it will allow increasing the export of Turkmen electrical energy up to 3 billion of kilowatt-hours. The Head of the State went to the conference hall where the participants of the events greeted him standing with long-lasting applauses. Addressing the participants, President Gurbanguly Berdimuhamedov again cordially congratulated everybody on remarkable event – the opening of the first combined cycle 1,574 MWt power station built on the territory of Mary State Power Station. The Head of the State highlighted that new power station is the largest energy facility in Central Asia and is engineering and technical development of new generation. Combined cycle power stations have number of advantages comparing with regular hydro power stations – they bring more profit, consume less fuel and more beneficial from economic and ecological points of view. Having noted that foreign guests take part in the ceremony, the Head of the State gave floor to Anni Sasco, the European Director of the American Fund of Healthy Ecology. Having expressed the gratitude to President Gurbanguly Berdimuhamedov for the invitation to visit our country and hospitality, the guest noted that activity of her organization is aimed at the support of favourable environment, in this regard, Mrs Sasco gave high appraisal to the work of Turkmenistan in this direction. The measures in this sphere have multi-aspect character. This is not only the provision of safety of industrial facilities for the environment and compliance with ecological standards but popularization of healthy life style, attraction of the population to physical training and sports, control of smoking and illegal traffic of tobacco products. The efforts of President Gurbanguly Berdimuhamedov are aimed at the improvement of the wellbeign of Turkmen people as well as at the improvement of social and economic situation in the countries of the region, Anni Sasco highlighted. “Your country is strong energy power supplying its resources to neighbouring countries, which is very important”, - the guest said. Handing over the Diploma of American Fund of Healthy Ecology certifying ecological safety of new power station, Anni Sasco expressed the congratulated the Head of the State on success achieved by Turkmenistan in realization of safe environment projects and use of environmentally friendly energy in production spheres. Having expressed the gratitude t Anni Sasco for her informative speech, President Gurbanguly Berdimuhamedov highlighted the symbolism of the fact that current remarkable event took place in Mary Velayat. Centuries ago, the Ancient Merv, which is famous in the history as ‘Maru-Shakhu-Jahan’ meaning the ‘Key of the Universe’, was one of the centres of the Silk Road, it has the intersection of important trade routes, which are used to send the goods all over the world – Europe, China, Persian Gulf countries. Today, we revive everlasting values of the Silk Road, which made great influence on cultural, trade and economic cooperation of Eurasian nations, in new stage of our history, the Head of the State said. Special attention is paid in the country to the development of medical sphere, the Head of the State continued. International certificates on elimination of number of infectious diseases including malaria and poliomyelitis as well as the practice of national medics in this sphere has been recommended for adoption by the World Health Organization in European countries are undisputable recognition of Turkmenistan success in solution of the objectives for health protection of the citizens. Our country is willing to render all possible assistance to the WHO in elimination of diseases in Afghanistan, the President said. Having mentioned that Mrs Sasco is a doctor by profession and this is a noble deed, President Gurbanguly Berdimuhamedov expressed the gratitude to the guest for her international activity. After, European Director of Swiss Federal Technology Institute Andreas Yanzen made a speech. Speaking of the importance of new power station in Mary, the guest highlighted that this project meets advanced standards by all parameters. Taking into consideration great demand in the world for energy resources, the opening of the power station opens new capabilities for beneficial cooperation between the states located along the Silk Road including between Turkmenistan and the countries participating in ‘One Belt and One Road’ project. Having noted that new power station is recognized as High technology energy facility by Swiss Federal technology Institute, Andreas Yanzen congratulated President Gurbanguly Berdimuhamedov and all who took part in realization of this important project on successful completion of works. Under the applauses of the participants, the guest presented relative Certificate to the representative of Turkmen side. Having expressed the gratitude to the representative of the largest scientific and education centre of Switzerland for high appraisal of energy potential of our country, the Head of the State noted that it is planned to implement number of the projects in the future, which would be aimed at the expansion of export capabilities of Turkmen energy. For example, it is planned to build gas turbine power station on the border with Afghanistan together with Japanese Sumitomo Corporation. Special attention is paid to ecological safety at the realization of the projects in this sphere and to their provision of advanced equipment, which is to meet out natural and climate conditions, the President highlighted. After, Director of Energy Department of Max Plank Energy Institute Anton Lepigson made a speech. Having noted that it was great honour for him to participate in current event on occasion of the opening of combined cycle power station in Mary, the guest congratulated the President of Turkmenistan and all the participants on this remarkable event as well as wished success in work to the personnel of new facility. This is global project for Turkmenistan and Central Asia in general and is very important for the prosperity of the region, improvement of trade and economic relations between neighbouring countries, Mr Lepigson highlighted. The guest also noted that long time ago, the Silk Road used to run across the lands with Turkmenistan as one of its centres. However, if back then the goods went from the East to the West, nowadays everything changes. After opening of the power station, the capabilities of modern Silk Road has been significantly expanded. The energy can be delivered to all directions, to south, north, east and west. This project is very important for the provision of dynamic growth of Asian countries’ development, which requires considerable amount of electrical power. Opening of new power station, providing export supplies of energy will support the development of the economy of the region, setting of new standards of life of the population, creation of conditions for work of international energy companies. Having noted that this is his first visit to Turkmenistan, Lepigson expressed the delight with developed infrastructure of our country and care of ecology. Having expressed the gratitude to President Gurbanguly Berdimuhamedov for work carried out in this spheres and active implementation of the best world practice, the guest wished the prosperity to our country. Under applauses of the participants of the event, the representative of Max Plank Energy Institute handed over the Certificate for Stability and Efficiency to the director of the power station. Having expressed the gratitude for the awards, President Gurbanguly Berdimuhamedov noted that he accepts these awards as a symbol of growing international authority of Turkmenistan and recognition of its success in use of innovative technologies during construction of various facilities and in environment protection. Supporting the efforts of international community for reduction of greenhouse gases emission, Turkmenistan change to the ‘green economy’ on programme base, use of modern environmentally safe and energy saving technologies in industry including in oil and gas, power energy and transport spheres. The President highlighted that innovations introduced in the industry as well as huge gas resources of the country, which is one of the most efficient and environmentally friendly fuels for the power stations today, supports efficient solution of the objectives in strategic sector of the economy. Continuing the subject, the President noted that Turkmenistan actively collaborates with the UN and other competent international organizations in all above-mentioned directions and receives wide support for its initiatives. Recently, the countries of the region signed the Convention on Legal Status of Caspian Sea where utmost importance is given to ecology and environmental protection and joint use of water resources of unique water reserve. Formation of international transit and transport corridors reviving the Silk Road under new conditions is another aspect of foreign policy of Turkmenistan. In this sphere, our country plays the main role having all capabilities for coordination of modern logistic routes. Finishing the speech, the President of Turkmenistan wished string health and success in work to the participants and guests of the event.